Should this be provable in a court of law (and assumably there is evidence from Conservative Headquarters obtained through the search warrant) local candidates never had possession. 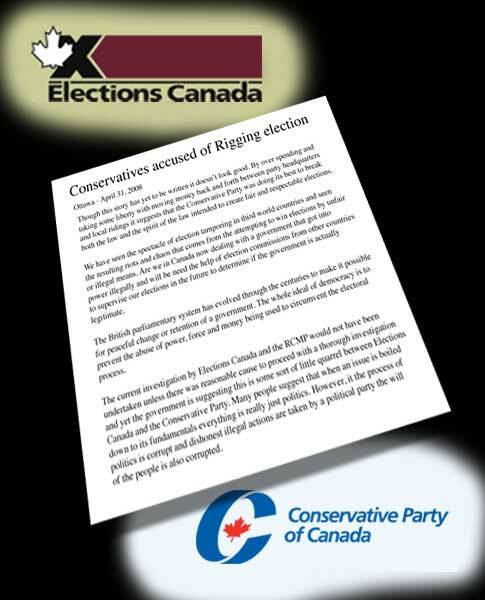 If they never actually controlled the money they should not be able to claim reimbursement from Elections Canada. If the invoices from the media agency had to be altered, (2) it should have been evident that there was something wrong with what they were doing. The question at issue now becomes whether or not the Conservative Party and those who conceived and implemented the scheme should be prosecuted.